Is your son’s birthday round the corner? 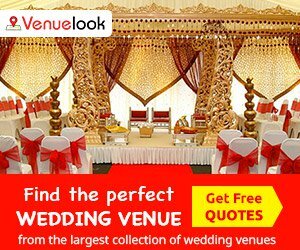 Are you are planning to throw a fabulous party for him but are not sure about the theme? If the answer to both questions is yes, you need our help. You must have heard, “boys will always be boys”. Unlike girls who have limited needs and demands, boys have vast interests. They love trendy gadgets, superheroes, space ships and fast cars. Besides all these things, their interest area has further expanded. They have become more adventurous and fun loving. 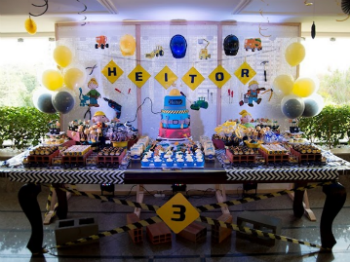 We have come up with a list of fascinating birthday themes that may appeal your boy and make his birthday a memorable day. Most young boys have played with Disney Cars at one point of their lives. As it is boys love to race their cars and if a theme with popular personalities like Mater, Lightening McQueen, etc as focus of attention, they are surely going to be mighty impressed. You can go for a chequered racing theme with black and white as your colors. Boy oh Boy! Are they going to be impressed? 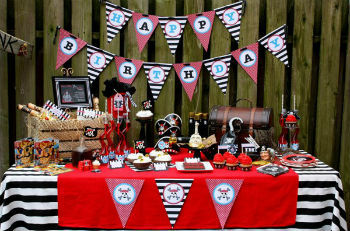 Another theme that is surely going to appeal birthday boy and his friends is pirate theme. 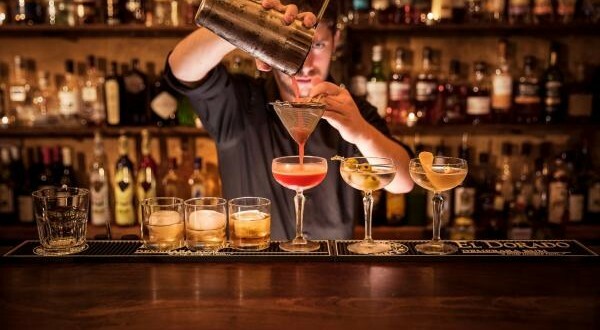 This theme is associated with a lot of mystery and intrigue, and this is surely going to raise hackles for the party goers. This theme is not new. 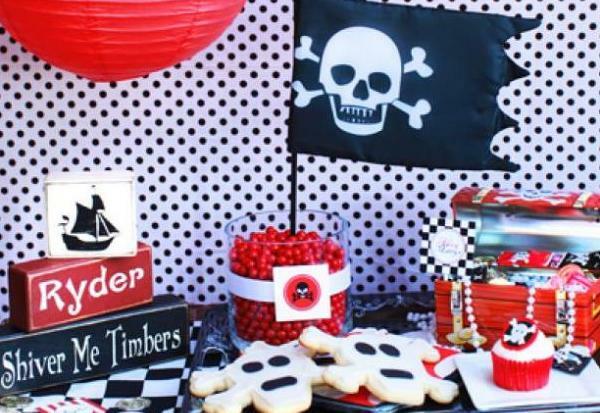 Since 1953, when Peter Pan movie was released, this theme is being used in birthday parties. Today, boys who are mighty impressed with Pirates of Caribbean will be thrilled to find Pirate theme in their friend’s birthday party. Ask boys to come all decked up with eye patches, plastic swords; captain hooks hats and pirate bandanas. 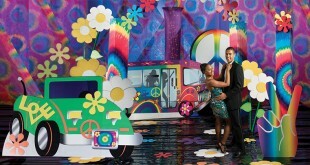 Their authentic costume combined with the perfect backdrop will set the tone of the party. Ben Ten is one of the most popular characters that play a vital role in young boys’ lives. You can dress up your boy as Ben Tennyson, a girl in the family as Gwen, father or grandfather as Grandpa Max and ask the guests to come dressed as Aliens, Ben, Gwen, Kevin or Grandpa Max. Some entertaining games can be created for young boys using gadgets as Ben 10 is considered as quite imaginative with technology. Supplies are readily available to ensure that this theme proves to be quite successful. 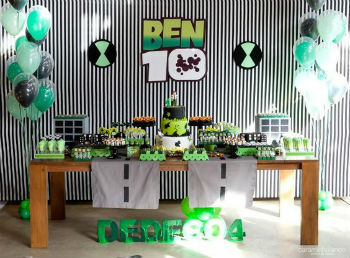 Read more on How to organize a Ben 10 birthday party. 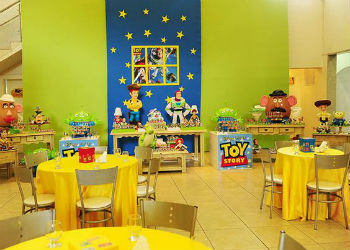 Toy Story is again one of the most popular birthday themes for the boys. The movie has always been an all time favourite for many boys. Loyalty and friendship is the basic theme of this story. 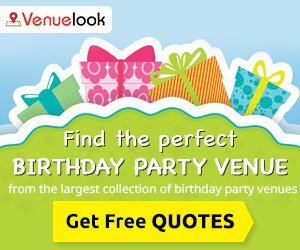 Games like a relay race or painting the picture of Woody or Potato Head activity can be planned to make the party more fun filled for the young boys. Winners can be given Toy Story character toys in a toy story loot bag. Every boy once in a while dreams to be a fireman. 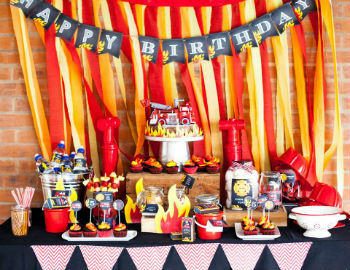 You can capture their imagination by having a Fire Engine theme for your boy’s birthday party. Hats worn by Fire chiefs can be presented to the boys coming to the party. Surely, this will be a smashing hit among them. You can add more fun to the party by getting garden hose out pretending to put out a fire. This scenario is sure to bring hidden bravado of young boys. 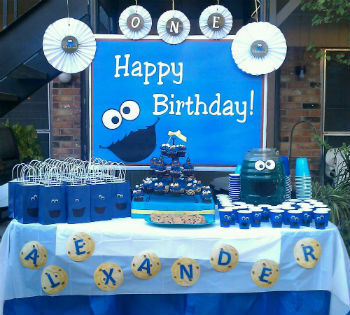 This theme can be hit among boys if they are fond of “Sesame Street.” A little bit of imagination, few accessories and handy craft, you can create a perfect backdrop for this theme. 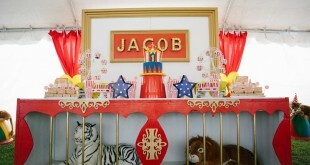 Boys who are neither kids nor adolescents will surely love this theme. Dressed in round spectacles, they would love to enact this theme with utmost imagination and creativity. You can help them out by giving them a situation to enact. 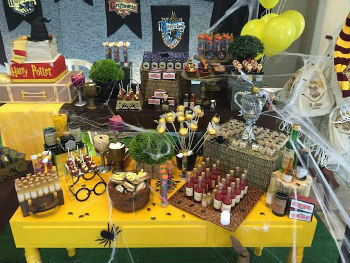 Goblets and magical accessories will go perfectly well with this theme. Diego, cousin of Dora the Explorer who is always busy in saving animals is one of the characters loved by younger boys. You can set up an explorer game in your front lawn or your backyard and let boys set for a discovery expedition. 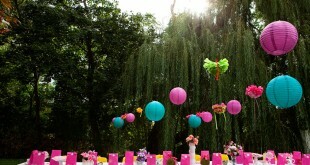 Suitable party decorations will add character to this theme. 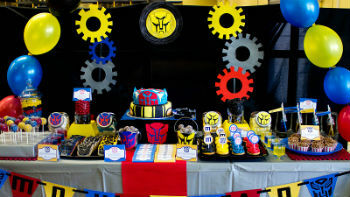 Transformers theme is again an intriguing birthday theme for boys. If you ask your son about them, he will simply rattle off few names in one breath leaving you awestruck. If you are planning to have this theme, you need to collect trucks and cars that get transformed into walking robots. This sure is a winner if your boy love to play dangerous games. A handyman, Bob the Builder is popular among younger boys. 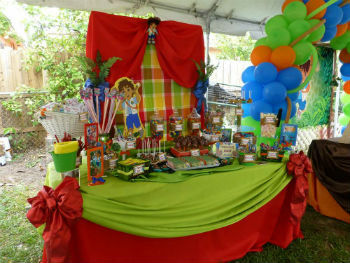 If you want this theme, you need to have groovy party accessories and supplies like construction hats, shovels and more. Before proceeding with this theme, you need to identify what all things you may need and whether they are readily available. 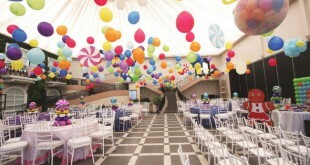 A popular character from Disney family, this theme is perfect for young boys’ birthday party. 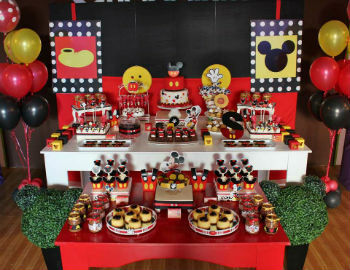 Mickey costumes and food served in Mickey dishes is simply going to make this party fun for the young ones. 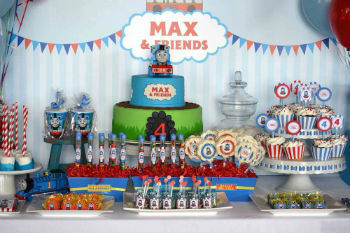 If your little one loves to enact the role of a conductor, plan a “Thomas, the Tank Engine” theme birthday party for him. You can get a toy train installed in your front lawn and see the look of sheer joy on the faces of the young guests. 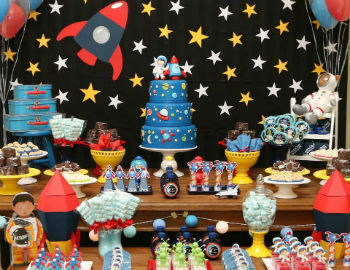 If your little one likes spaceships and rockets, this theme would be perfect for his birthday party. You can use cut outs of spaceships or small cars in spaceship models and let children give free rein to their imagination. You will be surprised to see how imaginative they can be. Astronaut suits and helmets can add fun to the party. Now this is something that not only younger boys but teenage boys may also enjoy. Angry Birds, a popular game, has taken the whole world by storm. 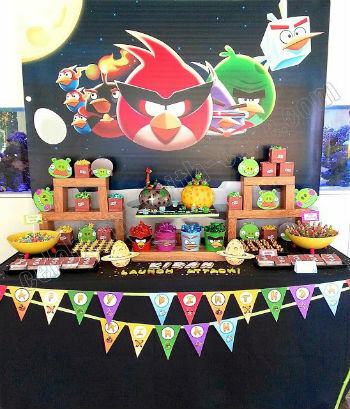 Keeping Angry Bird theme will surely make kids squeal with joy. Accessories and supplies for this theme are available without any trouble. If your boy loves action packed games, this theme is absolutely perfect for him. 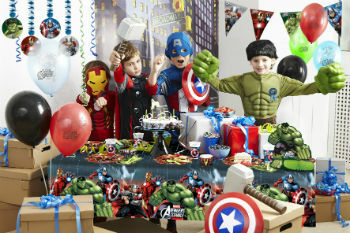 Iron Man, Thor and other favourites have captured the imagination of millions of young boys all over the world. 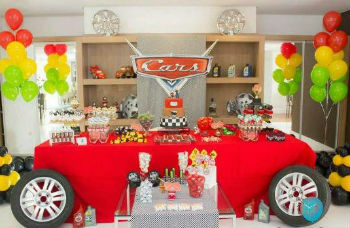 With a little planning and imagination, organizing a theme birthday party for your son will be a breeze! 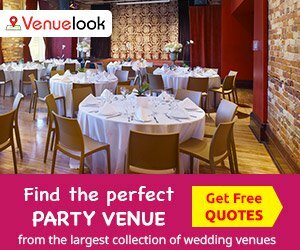 Right theme combined with right venue and some fun filled activities will ensure that the birthday boy and his little friends have a fabulous time and look forward to the next year’s birthday bash!